Pinterest valuation: Worth billions, no revenue. 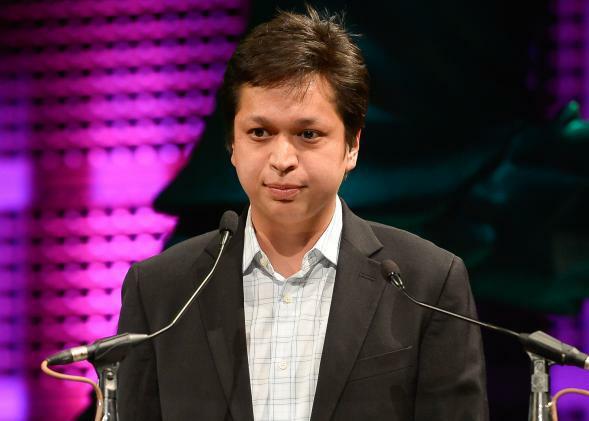 Pinterest’s Ben Silbermann: No revenue, no problems. Pinterest is now valued at $3.8 billion after its most recent round of fundraising generated $225 million. It’s an impressive feat for a company without any revenue. Note: That’s not no profit. That’s no revenue whatsoever. Though that may change! After all, the company recently announced that it’s beginning an experiment with advertising via “promoted pins,” which reflect similar practices by other social media giants—ads that blend in with unpaid content from people you follow, like you’d get on Facebook. Is it a little frightening how normal that statement seems nowadays? Pinterest’s profitless growth is totally in line with the norm, with Amazon still operating at a loss and Twitter hoping to maybe turn a profit in 2015. At least those two have ads going already. As Matt Yglesias noted last week about Amazon: “What makes Jeff Bezos a strong CEO and an important business leader is that he’s been able to fend off shareholder demands to get their grubby hands on this money. Instead he’s deploying it to grow the franchise.” Likewise, if Pinterest doesn’t focus on saturating the market, some other company—one that’s more willing to delay profits—will step in. Having that early foothold (as long as you haven’t “screwed up in every way possible,” to quote Rupert Murdoch on MySpace) is a constant of Internet giants. So maybe Pinterest has a plan after all.